I say allegedly, because with a similar flash sale out of Vancouver last month, the Air China flash sale prices were never actually bookable. The $599 prices to India showed up on their website for the entire flash sale period, but you couldn't actually book them. Air China has had flash sales in the past that were real. So it remains to be seen what happens with this one. NOTE: Air China usually releases theses fares around 3:00 AM EST. In other words, you would need to stay up *really* late on the night of Thursday March 8th, or get up *really* early on Friday March 9th. 3. 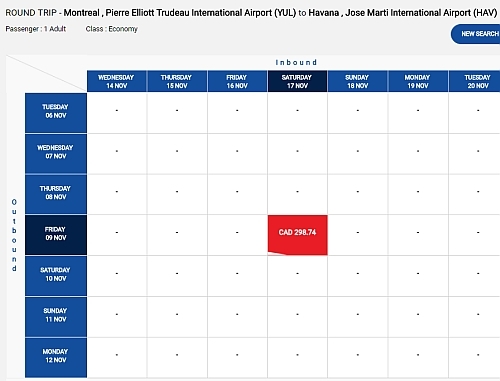 Search for a flight from Montreal to one of the destinations listed above. - I have not seen any evidence of $599 flights to India. - I have not seen any evidence of $599 flights to Hong Kong. 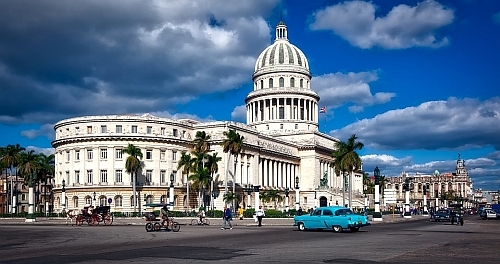 - I have seen $299 roundtrip, non-stop flights from Montreal to Havana, Cuba. Try Friday to Saturday dates. 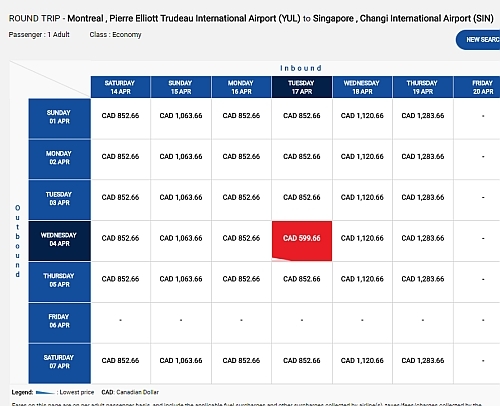 - I have seen evidence of $599 roundtrip flights from Montreal to Singapore, but dates seem *really* limited. 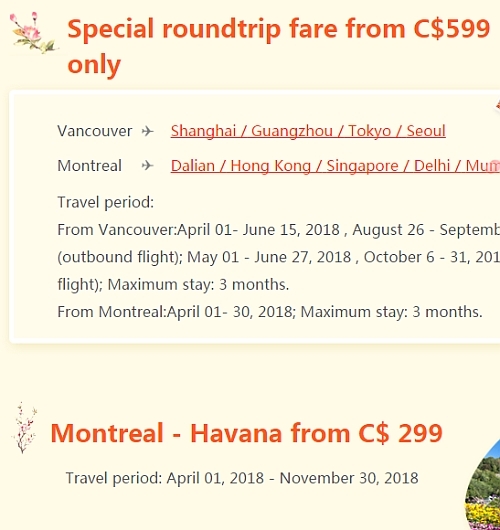 montreal, yul, flight deals, cuba, caribbean, havana, hav, asia, east asia, mumbai, bom, india, south asia, hong kong, hkg, bombay, delhi, del, singapore and sin.